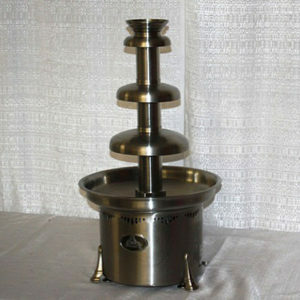 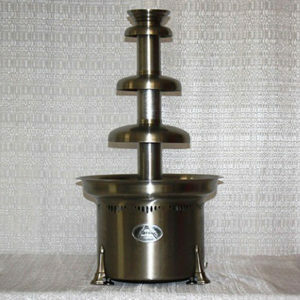 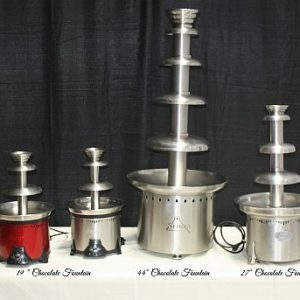 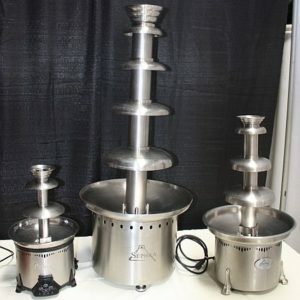 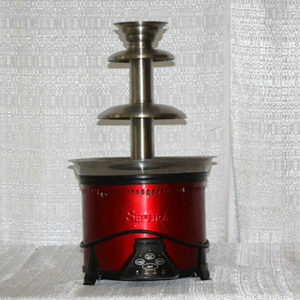 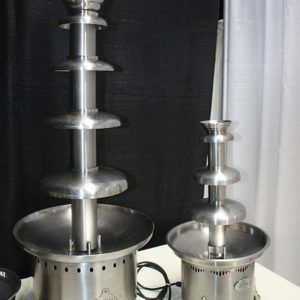 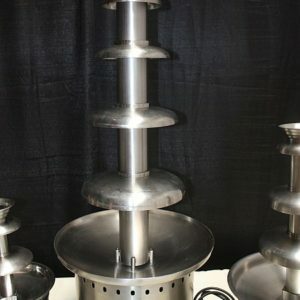 Our 27 inch tall fountain can run on as little as 10 lbs. 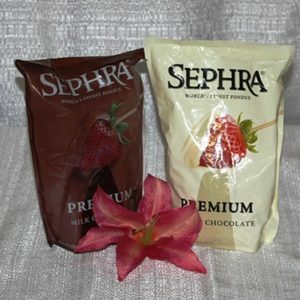 of chocolate and can hold up to 12 lbs once running. 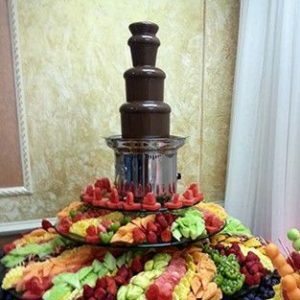 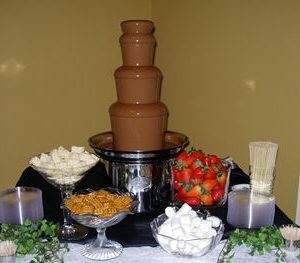 Perfect for groups up to 250 guests – Larger groups are possible with more chocolate added throughout the event.